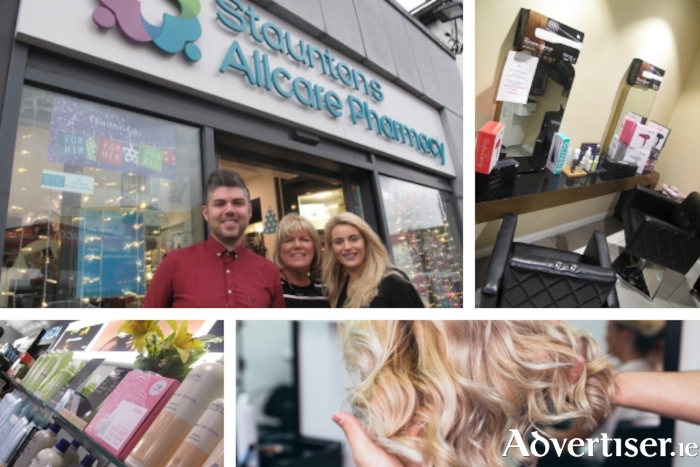 Advertiser.ie - Get glammed up this Christmas with Stauntons Allcare Pharmacy, Salthill! As the countdown to Christmas continues, (only 12 days left ), the lucky people will have all of their Christmas shopping done and dusted. But for those still searching for that perfect gift for the special someone in their lives, why not pay a visit to Stauntons Allcare Pharmacy. A family run business in the heart of Salthill (beside Morton's ), Stauntons Allcare Pharmacy has gifts from all sizes including personalised Christmas hampers made to the customer's own choice. Open 365 days a year (including Christmas Day ) until 10pm, customers can select from a vast range of products in store from perfumes and makeup including leading brands such as Environ, Aveda, Liz Earle, Dermalogica, Yonka, Chanel, and the new range from Luna by Lisa. There are plenty of electrical gifts from which to choose including GHD, L’Oréal steampods, and Lanablo dryers. Once all presents have been purchased, customers can look their best with the assistance of Stauntons Allcare Pharmacy's beauty team. Offering a full hair beauty spa service which includes colour, cuts, advanced up styles, and signature blowdrys along with waxing treatments, manicures, and pedicures, customers can avail of the walk-in blowdry bar where no appointment is necessary. Striving to offer clients a chemical-free approach to the haircare regime, the pharmacy only uses the best products that are derived from naturally sourced ingredients. And this Thursday, clients can meet the pharmacy's new head of hair, Leona, who has a wealth of knowledge and experience in the hair industry having worked in Melbourne and New York. There will be hair demos as well as prosecco on arrival and spot prizes. The beauty team are also introducing the very popular CACI non-surgical facial to its list of services. Using the leading brands like Enivron, which has proven highly effective for clear glowing skin, this is a course of treatments has guaranteed results. To book an appointment or for more information call 091-520-000 and like Stauntons Allcare Pharmacy's Facebook page for all updates on upcoming events.